Hamilton - A Haleyville man charged in connection with the death of a Guin man following a one-vehicle crash in March 2013 is now awaiting trial after being transported to the Marion County Jail from a state facility earlier this week. Ronald Camp, 36, is now being held at the county jail in Hamilton pending a $100,000 bond for his alleged role in the death of George Flippo, Jr. The deceased was 52 at the time of the crash, which claimed his life on Marion County Road 45 on March 6, 2013. A .22 caliber handgun was found in the vehicle by authorities at the scene, according to G.B. Blaylock, who was serving as Guin police chief at the time. Blaylock was unable to say at the time to which of the three riding in the vehicle the gun belonged. Fleeing from authorities due to his alleged role in the shoplifting incident at a Guin business only minutes earlier, Camp was arrested and charged in the incident. The sports utility vehicle he was driving at the time has been estimated to have reached speeds of up to 70 miles an hour on the county road. Most county roads have speed limits of only 45 miles an hour. The victim was riding as a passenger in the vehicle at the time of the crash. A third rider was in the backseat of the 1998 Mercury Mountaineer, suffering minor injuries. The vehicle left the road in a curve before striking a nearby embankment. While Flippo was pronounced dead at the scene, Camp was transported by ambulance to the Northwest Medical Center in Winfield. He was eventually flown to the DCH Medical Center in Tuscaloosa by helicopter. The other passenger was not transported for medical care with reports noting none of the three were wearing a seatbelt at the time of the crash. Camp was on probation at the time of the incident due to other crimes. With probation revoked as a result, Camp was transported to serve the balance of his prior sentence at the Limestone Correctional Facility in Athens. 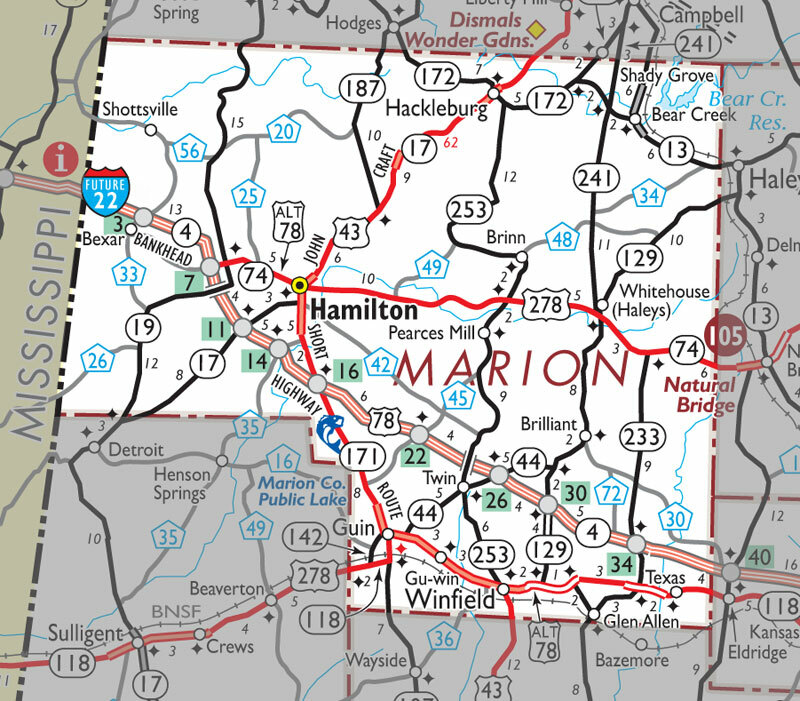 At the time Camp returned to state prison, a hold was then placed on the prisoner by the Marion County Sheriff’s Department, meaning he would be returned to the county jail to face trial in Flippo’s death. A Marion County grand jury indicted Camp for his role in Flippo’s death on Oct. 15, 2013. Completing his sentence for prior charges, Camp was then subject to the current hold evoked by the authorities in Marion County. He was transported back to the Marion County Jail by local sheriff’s deputies on Monday, Jan. 11, according to Marion County Sheriff Kevin Williams. “He will remain with us until his trial unless he is able to meet his bond,’’ the sheriff said in an interview with the Journal Record on Wednesday, Jan. 13. Marion County District Attorney Jack Bostick confirmed Camp’s return to the county, but said the legal process for the accused was just beginning. Bostick was asked for which week the next jury week was set. He said there would not be another until June, saying this would be the earliest the trial would be held.